Nuke Defense is a new combination of action game fused in tower defense environment, where you play as brave hero that needs to defeat all evil on Earth. Read more details and watch the full video walkthrough for Nuke Defense. Nuke Defense is a new strategy game where you play as young hero that needs not only to fight and defeat the incoming waves of enemies, but also to build defensive towers that would assist him in battles. Have fun! Giants and Dwarves TD is a new tower defense game where you assist the little race to stand up and face against the mighty giants. Read more details and watch the full video walkthrough for Giants and Dwarves TD game. Huge recklessness giants escorted by countless waves of merciless enemies, have invaded your dwarfy kingdom! In this epic mix of classic td environment fused with real time strategy gameplay, body size is not crucial thing for victory, but deploying the right kind of dwarves onto the best strategy spots, really is important for stopping all hordes of enemies. Remember that brains always beats size and have fun the following weekend! Highway of the Dead is a new free car racing game that has been created and published by TurboNuke Games studio. Read more details for Highway of the Dead game. Get inside your speedy killing machine and blaze towards the highway of the dead, hitting and driving above every single zombie u run across to. Drive carefully and have fun! Snail Bob 4: Space is the latest installment of the popular puzzling and snailing adventure. 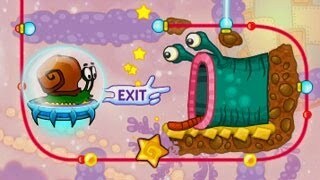 Read more details and watch the full video walkthrough for Snail Bob 4: Space game. Hop, op and away into space! In this 4th installment of epic traverse, our Snail Bob is facing against flaming meteors, ugly aliens, hungry monsters, deceptive identities and lots of hidden stars! Featuring up to 25 different stages and 3 hidden stars on each, Snail Bob 4 has finally arrived in the comfort of Space. Have fun! Enjoy the following weekend, and have fun snailing around! World of Steampunk is a new point and click game developed and published by Abroy Games. Read more details and watch the full video walkthrough for World of Steampunk. Welcome to the robotic World of Steampunk style! First you must assemble the Steampunk robot that is designed and destined to find and defeat the evil villain. 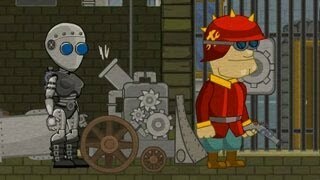 Interact with the environment, collect various items, create robotic stuff and have fun playing this funky and steampunk-styled point and click adventure game!